That's a rather tasteless picture of Wes. 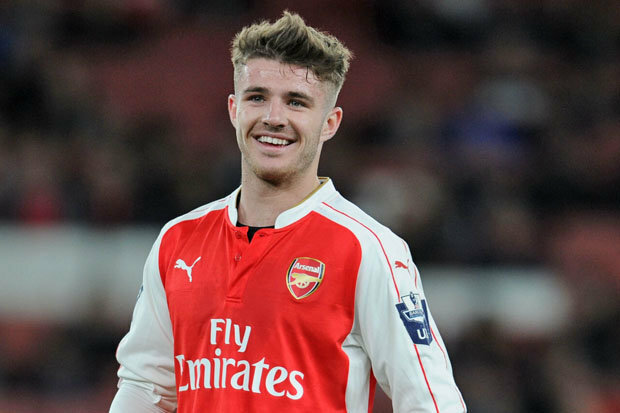 Arsenal midfielder Daniel Crowley, 18. The answer: not many. But those who do REALLY rate him. Sounds like a good signing to me. who has played 246 games for the Greens and is still only 23. Last edited by OUFC4eva on Fri Jul 15, 2016 5:49 am, edited 2 times in total. Which means we could be saddled with a pretty heavy compensation bill if it goes to tribunal - apparently we haven't managed to agree a sum with Argyle yet. ...which could be because Wright or Dunkley is on the move, or one of the four is seen as at least potentially a full-back. I can see Wright going tbh. The last remaining non-former-youth player from the pre-Appleton era. Judging by what happened with Mullins and Hylton (plus previous evidence), I think Appleton wants the squad to be completely his. (For this reason, I'd also imagine he'd let O'Dowda go fairly readily if we got a decent offer. Unless, shudder, he's planning to play 3/5 at the back? Given Dunkley was possibly our best player for the second half of last season, I'd be gutted if he was the one to be left out/released. My instinct, though, is that Wright will be given the chance to explore other options. Which would be really sad as he's a great man and been a fine servant. But injuries caught up with him last year ... I fear he's the odd one out. YF Dan wrote: Unless, shudder, he's planning to play 3/5 at the back? With the changes in rules on emergency loans, we need a bigger squad to cope with the season, particularly with at least three Trophy games. I agree that Jake Wright's injuries last season (and in previous) also mean that we need cover. Jimski wrote: I can see Wright going tbh. The last remaining non-former-youth player from the pre-Appleton era.